What the hell has happened to our interrupt? It seems to be working just fine when dealing with the Saviors but the spawn and the tanks are all completely unaffected by it. Has anyone one else noticed this? And dodge seems to working more (randomly) than usual. 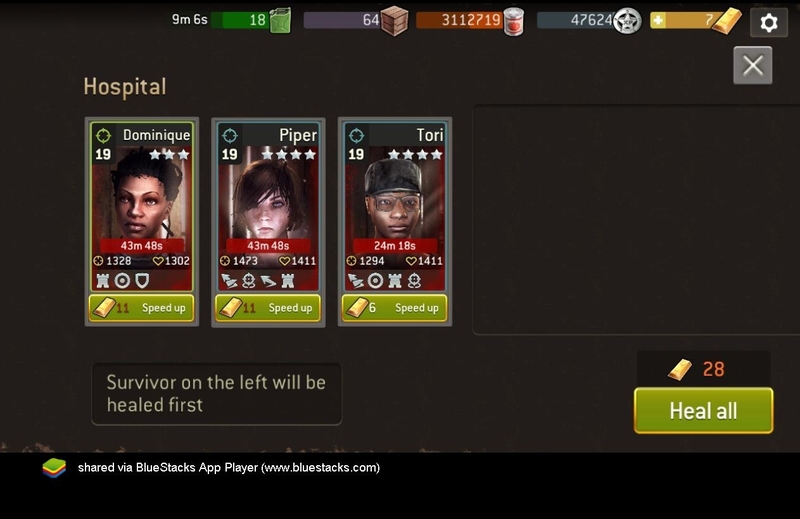 This is costing me more gold than it should be to heal my survivors out of the hospital and as a ftp players that is a big loss to the progress on my game. Do you remember "The Last Box before Exit" - Mission ? There was a video from @Terminates showing how to use interrupt on that mission. I tried it many times but my interrupt did not work 6 out of 8 times. My men immediately went into struggle. I was complaining to support for this but I had no video. After some weeks they gave me some Gold and told me if it was fixed with 1.10 and I shall say if it was fixed. By the way, does anybody know how to make videos with of the game play with the iPhone ? I think it works (temporarily?) more not ... reduced damage of fighters by 10 to 20 percent in display!?! @JackBauer if you have a Mac you can use the built in QuickTime just plug in your iPhone very simple to use. Otherwise check out the screen recorder apps in the App Store. My confusion regarding dodge is if the percentage is universal across the game why does it seem to fail mainly when against high level walkers? I can dodge all day in challenges playing the first 13 times on a map. Once the walkers are within 1 RSL of my survivors all bets are off. How does a chance at something seem to be so greatly affected by the difficulty level of an opponent? I have a legendary warrior with 61% dodge and she has done some amazing dodging on Delivery Man this week. Unfortunately her two mates have not consistently faired as well. Those level 30 saviors hit HARD!